Hoada Camp Site: the mountain pass at the massive plateau of the Grootberg in Damaraland Namibia is well worth a closer look. 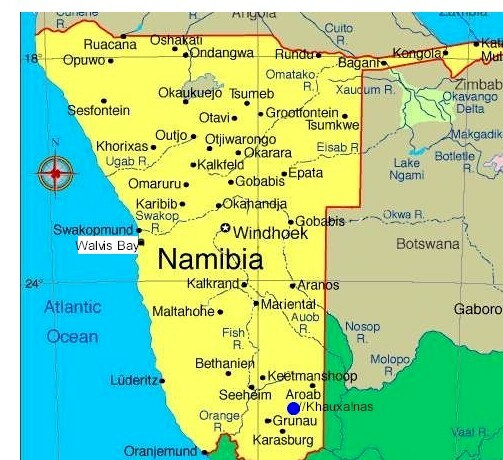 The same goes for the area above the pass - not least because desert Elephant have a habit of moving through there. 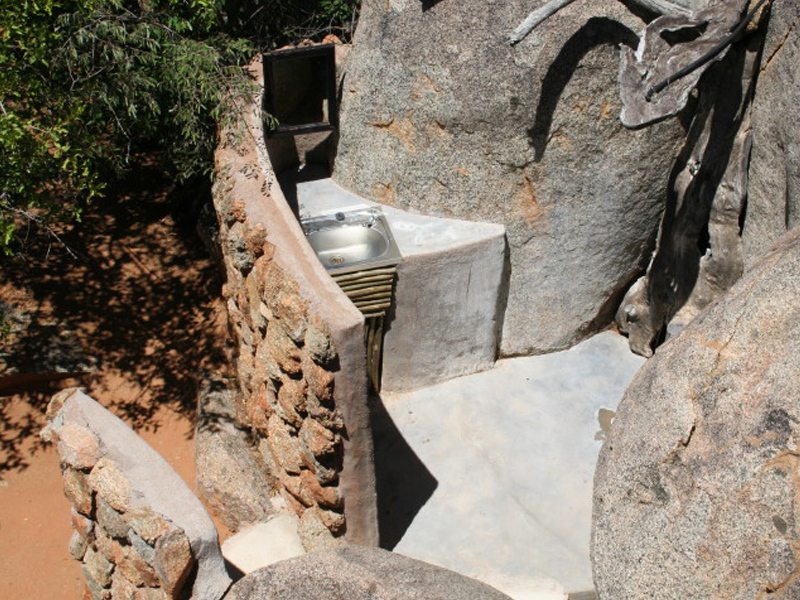 HOada Camp is located mere 25 km to the east from Grootberg Lodge. The distance from small town Kamajab is around 75 km taking road C40. 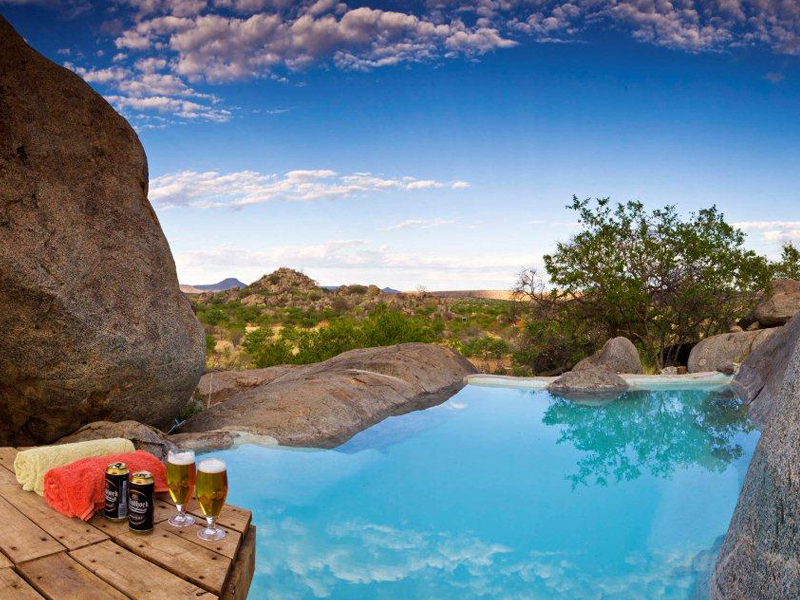 Hoada camp site is located at Grootberg Plateau in the northern part of Damaraland. 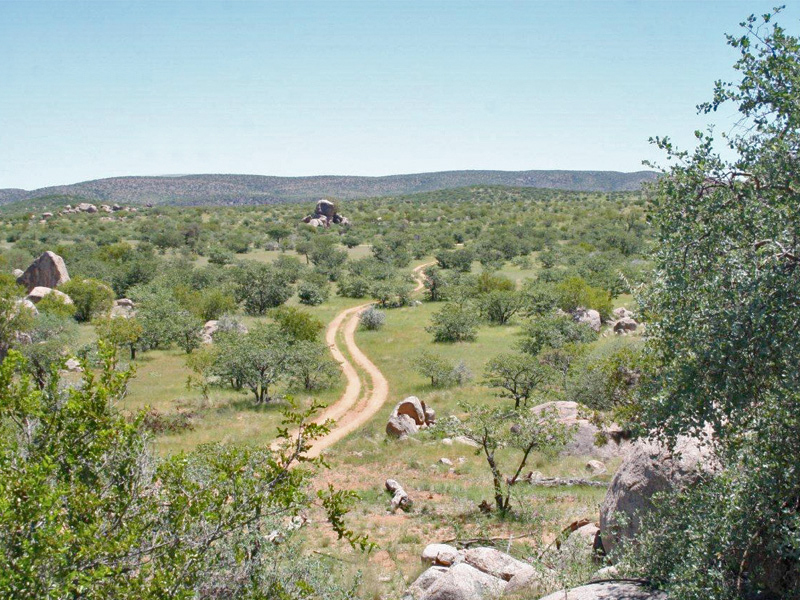 Hoada Camp site is situated in the ‡Khoadi//hôas Conservancy (Dama for 'Corner of the Elephant') which offers many attractions: the stunning plateau of the Grootberg; a large variety of wildlife, including the fascinating desert Elephant, and well-marked hiking trails. Hoada Camp is a perfect base to explore the area from. The entrance gate, made from Elephant bone, is an indication of the natural style in which the whole camp site has been constructed. Hoada Camp offers six spacious exclusive camping sites (up to 8 persons per site), Camping includes equipped bathroom facilities with hot running water showers and flush toilets at each camp site. 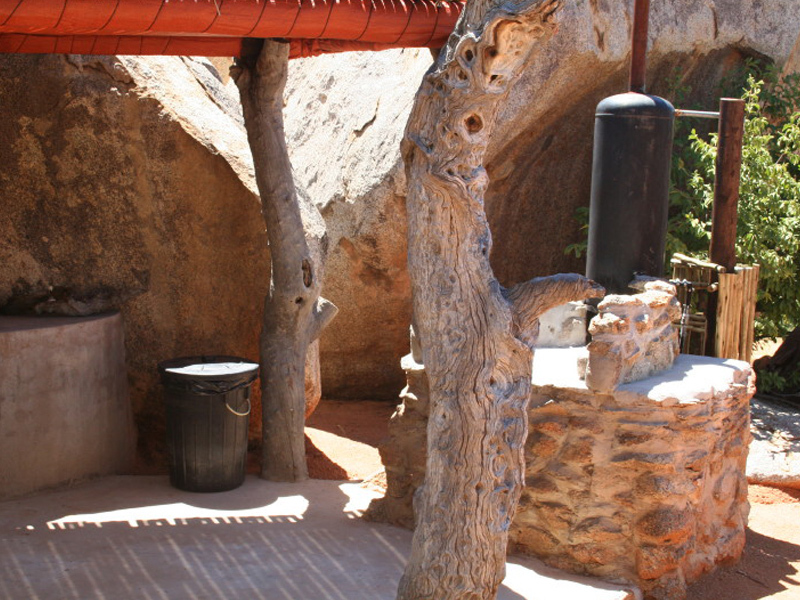 The hot water system works in combination with the braai area, it has been designed to minimize the excessive wasteful use of wood. The same fire used for cooking your food heats up the water for your shower. Eacah camp site has kitchen and braai facilities. 1 x group camping site can accommodate up to 14 persons. There are separate male/female ablution facilities. Materials are ecologically compatible and blend in with the area's surrealistic setting. 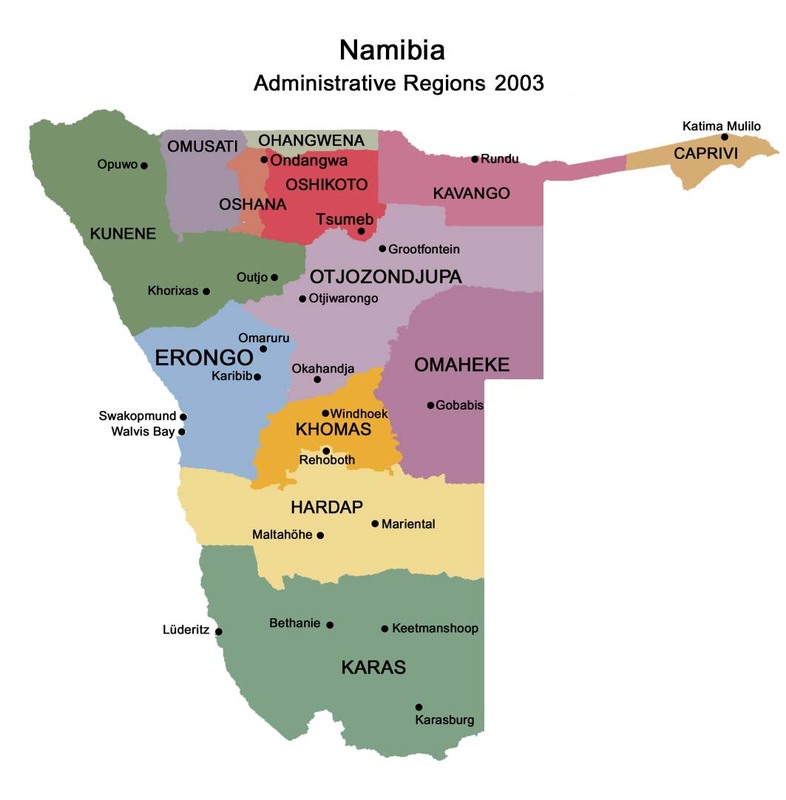 The emphasis has been placed on minimizing the impact to the Damaraland environment. Bar is available at the main area. Fire wood can be purchased. Small rock pool can be used to cool down during hot days. Hoada Camp offers tented accommodation: 4 comfort tents. Eact tent has 2 single beds, separate shower and two camping chairs. 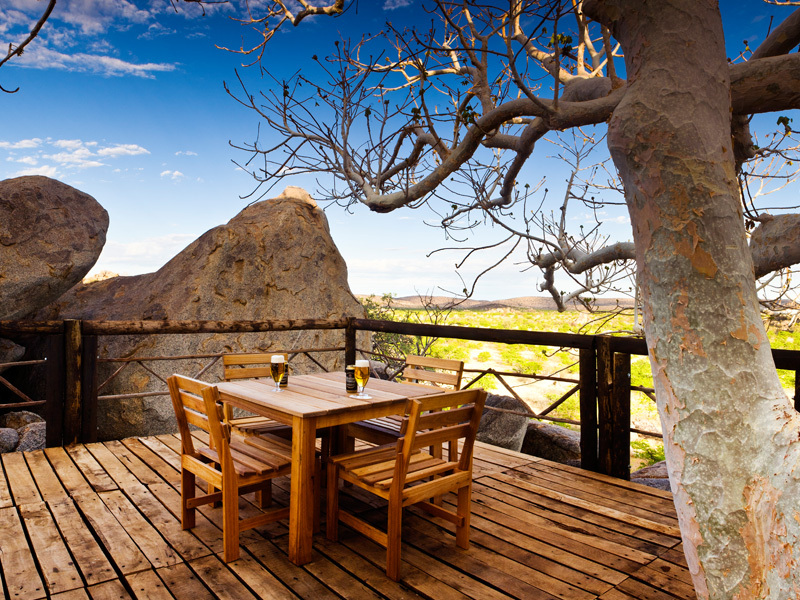 Activities at Hoada Camp Site are done at Grootberg Lodge, reserved in advance only. 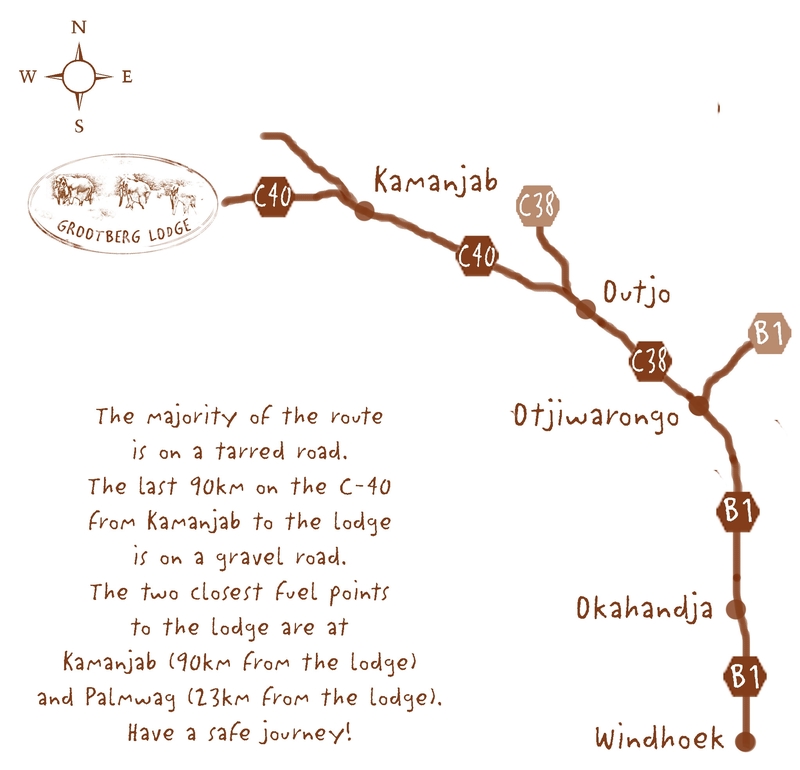 Own transport must be arranged between Hoada Camp and Grootberg Lodge. 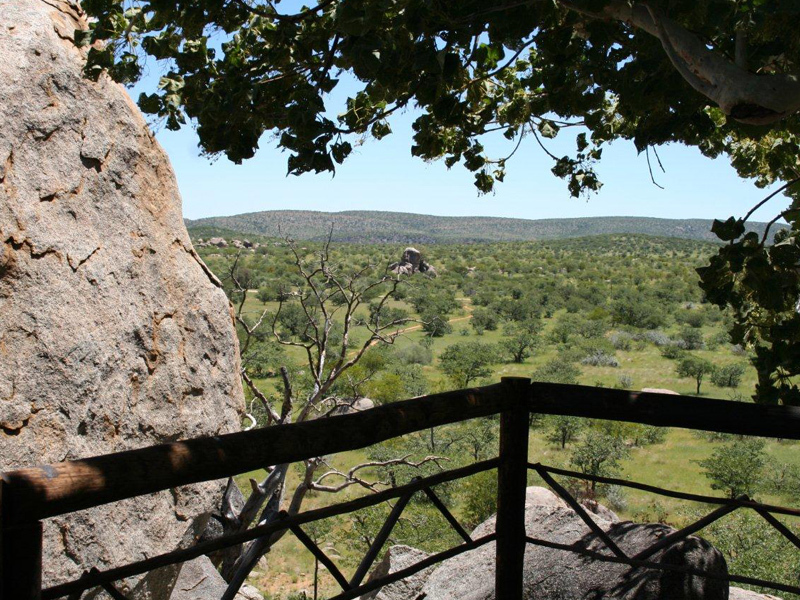 Visitors are also most welcome to participate in activities offered by the nearby Grootberg Lodge such as rhino tracking, elephant tracking, Himba Village excursions and nature drives. There are always friendly people at Hoada to welcome you and take care of the facilities.